Two sets of spirals, connected by a triangular pattern of struts, generate the spherical framework of Energy attention sphere. 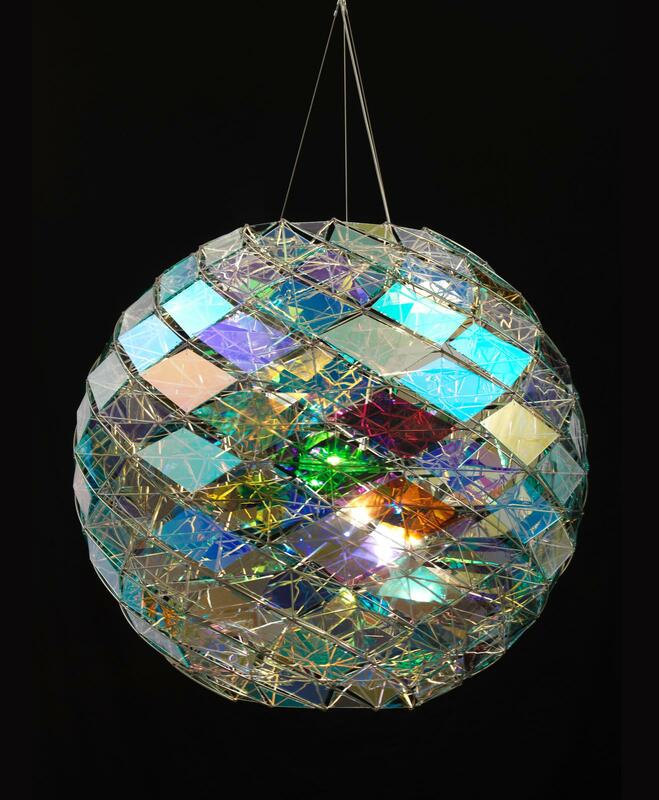 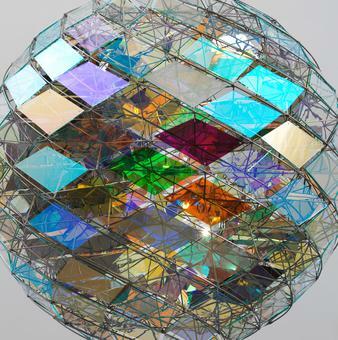 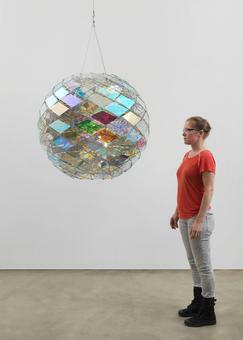 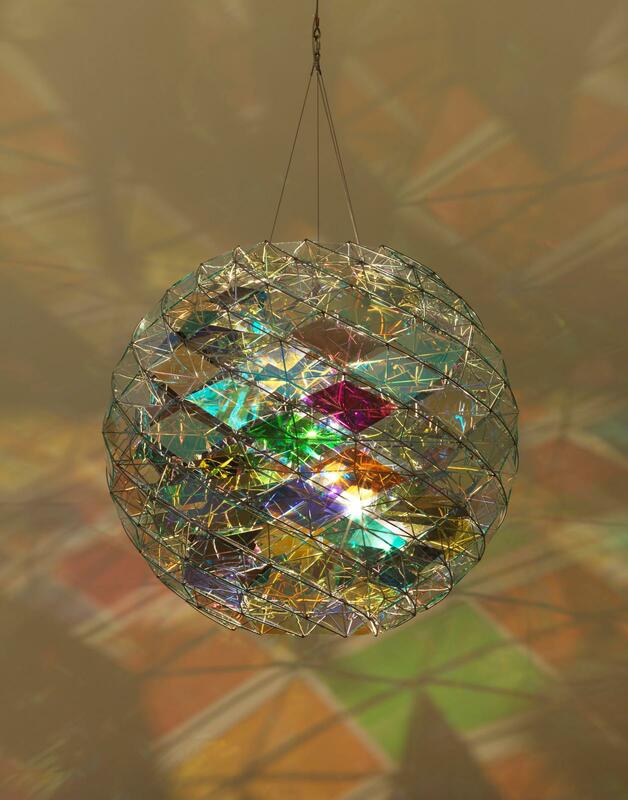 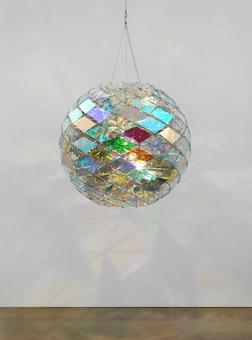 Suspended within this framework is an array of trapezoidal mirrors, while the outer surface is covered in panes of hand-blown glass in various colours, which have been coated with an iridescent colour-effect filter foil and whose shapes correspond to the geometry of the framework. 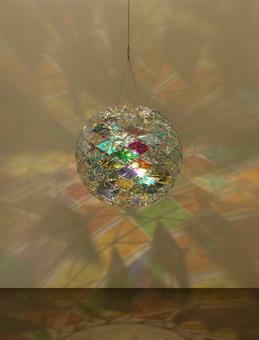 A lamp at the centre of the sphere, inside the hollow core, projects splintered patterns of variegated light and shadow upon the surrounding space.